A study of health insurance claims showed that patients undergoing 11 of the most common types of surgery were at an increased risk of becoming chronic users of opioid painkillers, say researchers at the Stanford University School of Medicine. But the slight overall increase in risk of 0.5 percent in no way suggests that patients should skip surgery over concern of becoming addicted to opioids, the study said. Instead, it’s a reminder that surgeons and physicians should closely monitor patients’ use of opioids after surgery even patients with no history of using the pain-relieving drugs and use alternate methods of pain control whenever possible. The study will be published in JAMA Internal Medicine. “For a lot of surgeries there is a higher chance of getting hooked on painkillers,” said the study’s lead author Eric Sun, MD, PhD, an instructor in anesthesiology at Stanford. Sean Mackey, MD/PhD, professor of anesthesiology, is the senior author of the study. Patients who had knee surgery had the largest risk, as they were roughly five times more likely than a control group of nonsurgical patients to end up using opioids chronically, followed by those undergoing gall bladder surgery, whose risk was three and a half times greater than those in the control group. Since prescription painkillers became cheap and plentiful in the mid-1990s, drug overdose death rates in the United States have more than tripled, according to the Centers for Disease Control and Prevention. Seventy-eight Americans die every day from an opioid overdose, it reported. Previous studies have shown increased risks of chronic opioid use post-surgery, but unlike past studies, Sun and colleagues set out to examine patients who hadn’t received prescriptions for opioids for at least one year prior to surgery. Among the opioid prescription drugs examined in the study were hydrocodone, oxycodone and fentanyl the drug responsible for the recent accidental overdose death of legendary performer Prince. The researchers examined health claims from 641,941 privately insured patients between the ages of 18 and 64 who had not filled an opioid prescription in the year prior to surgery, then compared them with about 18 million nonsurgical patients, who also hadn’t received opioid prescriptions for at least a year. The claims were filed between 2001 and 2013 and provided by Marketscan, a database of 35 million beneficiaries. 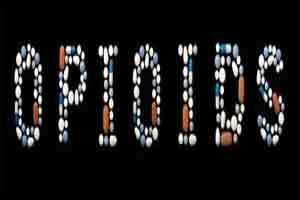 Except for the minor procedures known to be somewhat pain-free, such as a cataract surgery and laparoscopic appendectomy, all 11 types of surgery were associated with an increased risk of chronic opioid use, the study said. Sun said he and his colleagues in surgery and anesthesia at Stanford try to use regional anesthetics when possible to reduce the need for opioids post-surgery. He added that patients should also be encouraged to use pain-management alternatives such as Tylenol following surgery. She is studying the use of a pain psychology class at Stanford for women undergoing surgery for breast cancer called “My Surgical Success” designed to help patients develop a personalized pain management plan to control the anxiety associated with anticipating surgical pain.